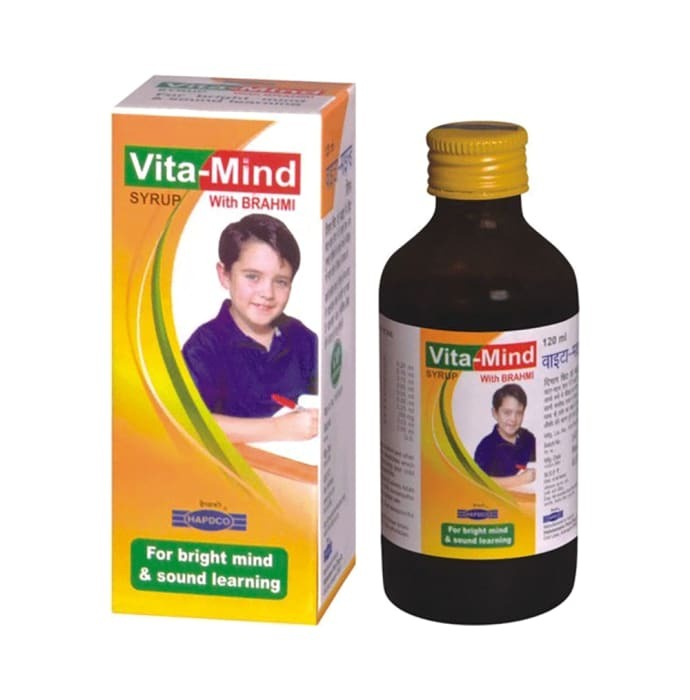 Indications: Vita-Mind syrup contains Brahmi and other important homeopathic medicines which are very effective in improving child intelligence & learning capacities. Brahmi reduces mental tensions & anxiety. Adults can also use Vita-Mind. Direction for use: Children: One teaspoonful three times a day. Adults: Two teaspoonfuls three times a day or as directed by the Physician. Use under medical supervision. 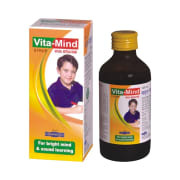 A licensed pharmacy from your nearest location will deliver Hapdco Vita-Mind Syrup. Once the pharmacy accepts your order, the details of the pharmacy will be shared with you. Acceptance of your order is based on the validity of your prescription and the availability of this medicine.